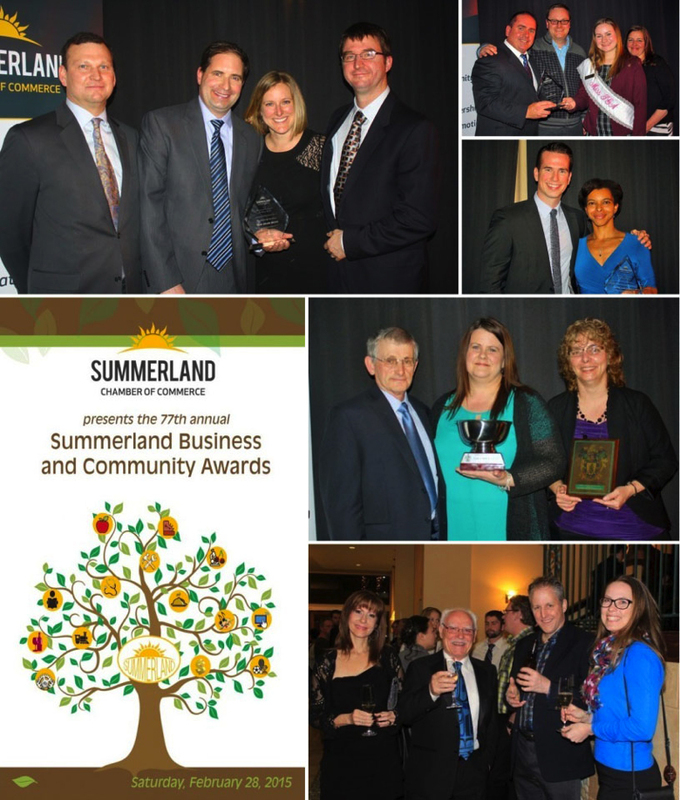 Each year the Summerland Chamber of Commerce holds its Business and Community Excellence Awards Gala, celebrating individuals and businesses who have contributed to the fabric and growth of our community. Their entrepreneurial spirit, leadership and best business practices are to be commended. With fifteen separate categories, including Best Business and Citizen of the Year, the Summerland Chamber of Commerce seeks to recognize those who have helped move our community and economic vision forward. Award winners pose for a photo at the 80th Annual Business & Community Award Ceremony. Here are some scenes from the 77th Annual Awards Gala.